Have you ever thought about what happens in the oven, when it's heated? Well, Roberto is going to figure this out! Get in the oven and pop all bubbles before they move you to the top. Stay away from the incandescent surfaces! 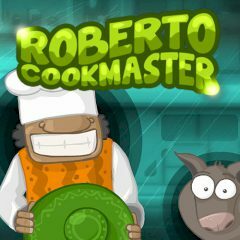 Sometimes strange things happen in the kitchen, but Roberto knows what to do. When your oven is not functioning properly, it's the time to fix this problem. Get inside of the oven and get rid of those bubbles before they push to to the heated surface. You don't want to get burns, don't you? Make sure you do everything faster!